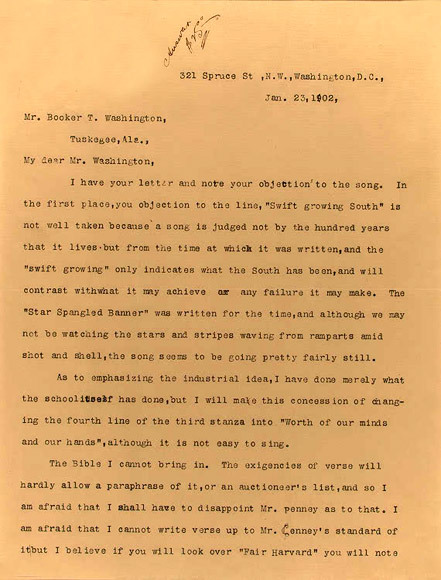 CREDIT: Dunbar, Paul L. "Letter from Paul Laurence Dunbar to Booker T. Washington." January 23, 1902. Courtesy of the Ohio Historical Society, Paul Laurence Dunbar House State Memorial. Booker T. Washington Papers, Manuscript Division, African American Odyssey, Library of Congress.